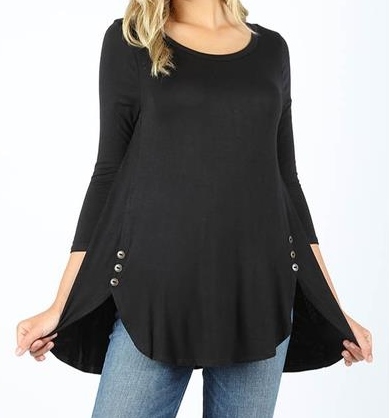 What a cute tunic top that can be worn with anything. 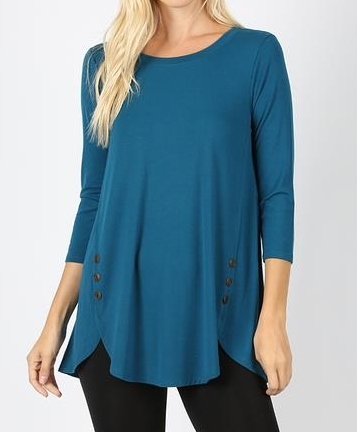 3/4 sleeve for that extra arm coverage with cute side buttons and that awesome dolphin hem. Approx. measurements for small - body length: 28" and chest:34"